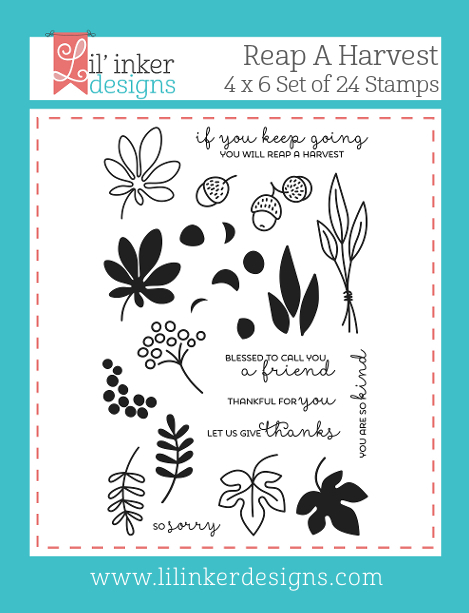 It's the last day of the Lil' Inker Designs September 2016 Release. The first day I featured holiday items in a non-holiday manner, yesterday I featured the other cool Halloween items for Halloween cards, and today I've got some beautiful fall/Thanksgiving inspired cards for you. My first card showcased the absolutely beautiful Reap a Harvest Stamp Set and Reap a Harvest Die Set, along with the Dual Stitched Pumpkin & Grateful Word Die Set. 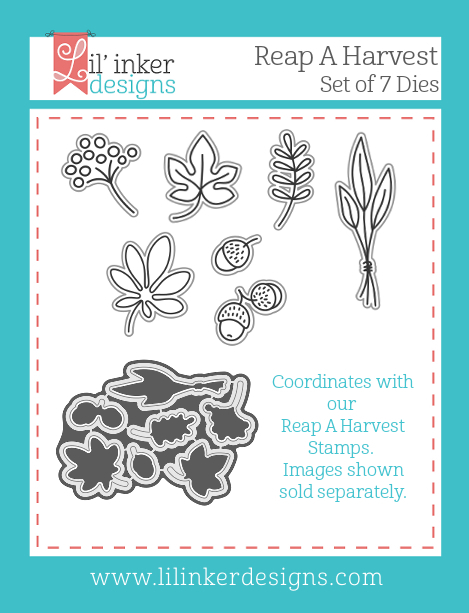 I created a quick, custom background card base by stamping the outline images from Reap a Harvest onto kraft cardstock in kraft ink. I then created a sentiment panel from rust paper using the On the Diagonal Die. I stamped and die cut some of the images from Reap a Harvest (two-step stamping was never so easy, these stamps line up great!) and affixed the arrangement to the card, tying them with Natural Burlap String. I then die cut the Grateful greeting three times and stacked them together, affixing this to the sentiment panel. 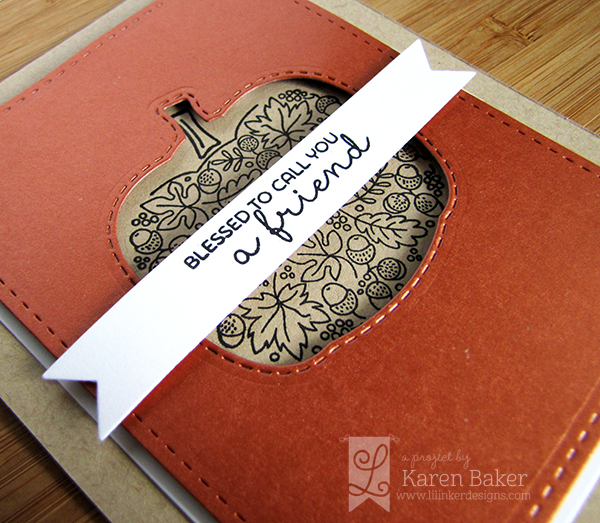 I finished the card with a stamped sentiment, also from the Reap a Harvest Stamp Set. 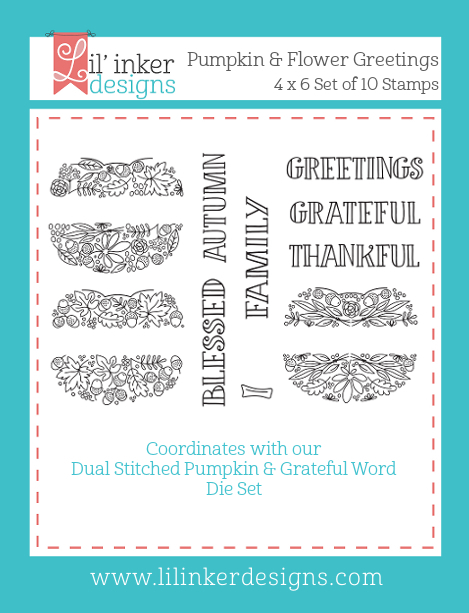 My last card for this release showcases the new Dual Stitched Pumpkin & Grateful Word Die Set and Pumpkin and Flower Greetings Stamp Set. For this card, I die cut the pumpkin shape from metallic copper cardstock and a white piece of cardstock using the Dual Stitched Pumpkin & Grateful Word Die Set and created a border with the Stitched Mats: Rectangles Die Set. I stamped one of the many detailed pumpkin images from Pumpkin and Flower Greetings Stamp Set right onto a kraft card base, being careful to line up the white and copper cardstock where the pumpkin was die cut. I mounted the copper panel with dimensional adhesive and stamped a sentiment from Reap a Harvest Stamp Set onto a banner which was mounted with dimensional adhesive over the stamped pumpkin image. 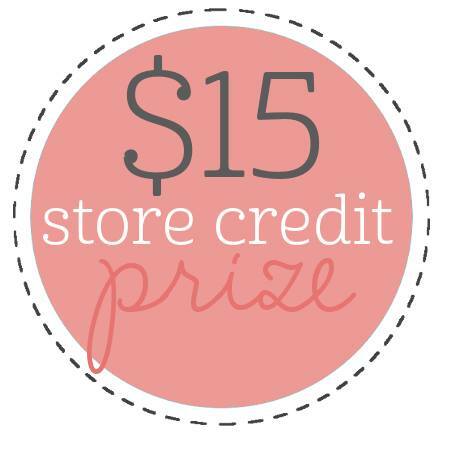 Laura also announced a pretty cool deal in the Lil' Inker Designs Newsletter. If your crafty total at the store adds up to $50 or more, you get the the stamp set Here for the Boos for free! All you would do is add the FREEBOOS at checkout. Click Here to sign up for the Newsletter to receive future offers! I'm going to send you over to the talented Jen Carter's Blog to finish the hop, however all the items are up on the shop already! 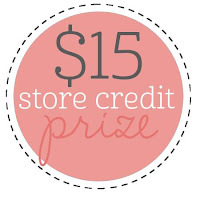 Don't forget to leave a comment along the each of the stops on the hop, as there are three $15 gift certificates up for grabs to the Lil' Inker Designs Store! I love both of your cards; they are very elegant! The first one I love with the almost tone-on-tone background, beige stamped with light brown. Then the POP of orange with the addition of the orange 3D sentiment highlighted by the white line/area below it. 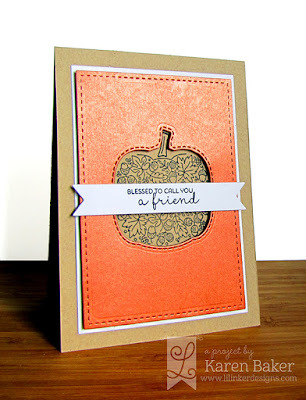 I love the layering of the second card and that you used a dark ink on the "inside" of the pumpkin flowers. It really shows well. I also like the sentiment banner going all the way across the card. Thanks for sharing your talent with us. I have some new ideas to try. I really love your work! Gorgeous fall inspired cards!!! I love the tone on tone background stamping you did on your first card. Your second card really captures the richness and warmth that fall brings to mind with the coppery hues and pumpkins. gorgeous fall cards! looove the stamped background on that first one. so pretty! So pretty ! Love how you did that tone on tone background! These are both so elegant. Perfect fall cards! Simply stunning cards! Love the stamped background in the first card! Love these festive beauties, Karen! The kraft on kraft stamping in the first one is fabulous! And I'm lovin' the layout on the second one!!! Perfect colors for Fall cards. I really like the background you created for the first card. Awesome cards! Love that you created your own background paper! Wonderful cards, Karen! 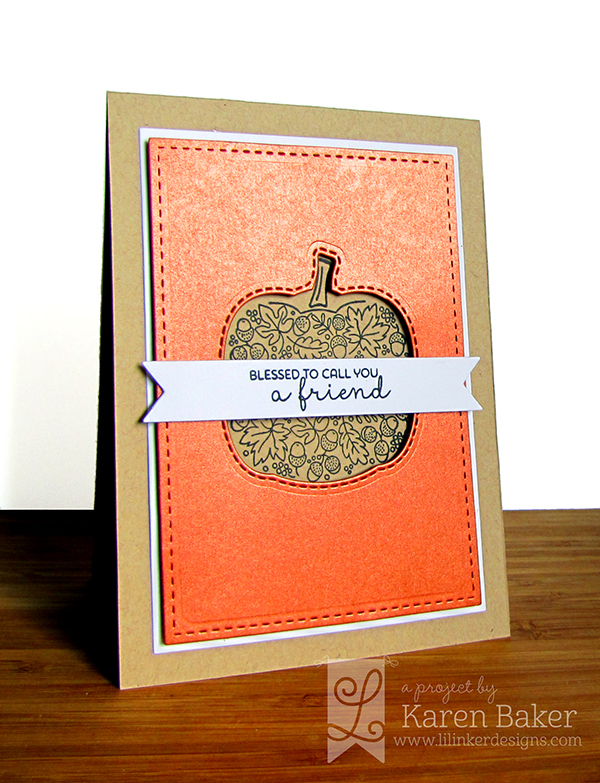 I love how you paired the kraft and orange on both cards, and I'm loving all that detail in that pumpkin! Very pretty cards. Love that you made your own BG. These are both gorgeous but I especially love the background you created on the first one. 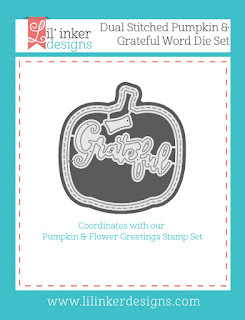 These are incredible Karen, love the 'grateful" word die! These cards are elegant and classy. Lovely fall cards! The leaves and acorns are so pretty, and I love the pumpkin! Awesome fall release! Awesome fall cards, love the fall colors. These are both beautiful, Karen, love the fall colors and your classy designs!! Well done on showcasing these new stamps and dies! Love them!